In engineering structures load carrying FRP structural elements are often joined to metal structural elements. Three main types of joints, all with different load transfer properties, may be used in this connection: bolted, adhesive, or clamped. Bolted and clamped joints may be disassembled, in contrast to adhesive joints. 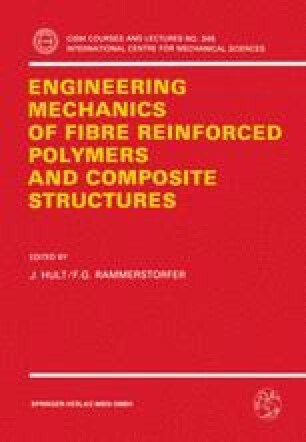 Design of such hybrid systems involves considerations of load transfer across the common boundary between FRP and metal. Oscillating, singular stress concentrations may occur at sharp corners or cracks between adjacent materials with different mechanical properties. The severity of such stress concentrations may be diminished by suitable shaping of the adhering structural parts.